I’ve been thinking about you and wondering how everything is going… I’m especially curious to know how your body is feeling these days and how your movement inside and outside of the studio is going. Recently I had a powerful realization that led me to more fun, freedom, and creativity with teaching and getting more movement into my day and it made me think of you. Since I own a Pilates/Restorative Movement studio, this may sound a bit ironic, but I don’t love exercise. That said, I DO love moving my body and have a strong passion for understanding how to move better and move more, and I love understanding exercises that improve function. Most of all, I love, love, love helping others find exercises and movements that nourish their body in new ways. But, exercising for its own sake has never excited me. Which brings me back to the huge realization I mentioned above. There is no right way to move or right exercise program that fits everyone. We all manage our body and move through our days in unique ways. And, ultimately, only you have access to the perfect exercise program for you buried deep within, even if you don’t realize it. For two and half years, I’ve worked in the studio as a Restorative Movement Specialist and outside the studio as an Integral Master Coach™ and these parallel projects could never really intersect. I’ve known all along that the two disciplines genuinely compliment each other, I just hadn’t figured out how to integrate them. Then, in December, I started having clear ideas about how I could bring Integral Coaching® into movement sessions and classes. When it comes to movement, our culture tends to lump movement in with exercise and often emphasizes a no-pain-no-gain approach. This leaves many with the impression that exercise/movement needs to be intense or extremely time-consuming in order to be effective. The truth is that there’s a ton of value in just moving your body more frequently throughout the day! For example, try standing up right now and stretching your arms overhead, and then out to the sides and take three big breaths. Congratulations, you just added some movement variety to your day in less than 60 seconds. Over the course of a day, simple movements like that one really add up to a big difference! Also, many people who may have had an injury, or negative experience in the past, live in fear of certain movements. This fear has led them to rule out these movements or activities altogether. And, with so many different paths of movement and exercise to choose from, one thing’s sure, there’s a lot of confusion with exercise and moving in general. Movement is vital to whole-body health and wellbeing, and many of us in our shoe-wearing/chronic-sitting society don’t get enough movement variety in our day. So, how do you know what movement is best for you, or what movement your body most needs or wants? Getting to know more about what makes movement meaningful to you is key to integrating more movement into your daily life in a sustainable, enjoyable and healthy way, but, until now, there hasn’t been an easy way to do this. This new class is your key to unlocking what makes movement most meaningful to you. 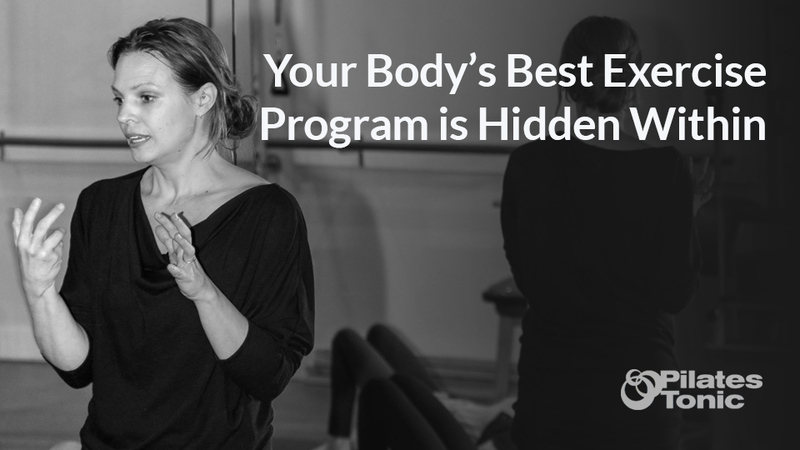 You’ll uncover assumptions about your body that you might not even know you’re making! In the Introspective Movement Class, you’ll explore how you determine what type of movement is effective or meaningful to you. You’ll discover how you know when you’ve accomplished your desire, or feel limitation in achieving what you most desire for yourself and your body. You’ll learn more about your current way of being with your body as you explore how that way supports your deepest longings and how it holds you back. You’ll have the opportunity to reflect on your deepest longings for yourself and your body and identify what a new way of being in your body would feel like and how that new way approaches movement. I think it’s safe to say you’ve never had a mat class like this one! 🙂 There will be plenty of movement, in addition to reflection time. Join me on Saturday, March 3rd or Saturday, March 10th (or both!) for this leading-edge class where you’ll get closer to how you approach your body and movement. Update: A new class has just been added on Saturday, April 28th from 10:00-11:30am. Please bring a notebook, pen and a willingness to explore movement and your body in some fun new ways! There will be opportunities to speak up and share your discoveries if you want to, but sharing is not required. So, if you feel nervous about having to share in front of others, know it’s an option, but most certainly not required. My biggest desire in offering this class is to support you as you learn how you make meaning when it comes to your body and movement; I want to create a space for you to uncover new possibilities for yourself! Each class is limited to 12 participants. The cost is $20 per class. Click here to sign up for the March 3rd class…. Click here to sign up for the March 10th class…. If these dates and times don’t work for you, or the classes fill up, fear not, I’ll be offering this class again. Subscribe to the Introspective Movement list below and you’ll be the first to know when a new class is offered. In the meantime, I hope you are enjoying the last days of this wild, warm February and I look forward to seeing you soon!